If you are working with primary age students who do not yet know how to use Wixie, have them begin with some simple sorting activities to evaluate their knowledge and understanding as well as ability to use a mouse. Wixie includes a Month-by-Month section with a folder for September which includes basic activities like Pack Your Backpack, Seasons Sort, Home or School, and Johnny Appleseed apple sort. Whenever you introduce new technology skills, you need to stay light on content. You can't ask students to do heavy lifting in both areas at the same time. This is why All About Me projects are so popular for introducing a new technology! Wixie contains an entire folder of All About Me templates students can use to practice with paint tools and stickers. Students log in to their account, click the Projects button, and then click the Templates tab. Getting students to learn how to use the Templates tab on their own to start projects or add content to graphic organizers is essential for self-directed learning with Wixie the rest of the year. The Training tab in Wixie also includes a tutorial for creating an All About Me table tent. Complete the tutorial yourself to introduce yourself to your students and then have them create their own and print labels for their desks. The All About Me folder also includes a longer six-page All About Me project that repeats many of the same skills and makes for an adorable movie. After the first week at school, have students design and write (or even record) a short note home about their new class. If you are using a laptop or computer with a web cam, go to the Library tab and click the Web cam button and capture a picture of your students. You might also try taking their picture in front of a greenscreen so you can use the magic wand tool to remove the background. 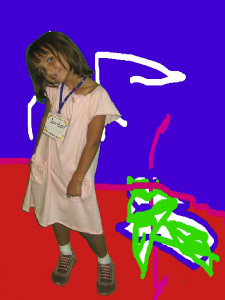 Have students use the paint tools to decorate the background. Students can use a brush tool on the Paint tab to write a message, or add and type their own text. If they aren't ready to write or type on their own, record their voice. If you have students record their voice, send the project URL to parents as an electronic greeting card. If your students have computers or devices at home, send instructions home so students can practice logging into their account and show their families what they have been working on at school in Wixie. As you start out the year, have your class work with you to come up with a set of class rules. 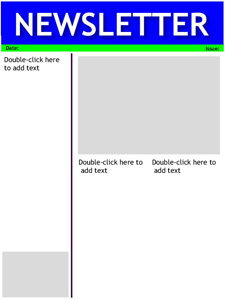 Wixie includes a template in Teacher Tools you can use to simply type text. You can, of course, start with a blank page, and add your own clip art and painted details. Work together on an interactive white board to complete a file you can print and hang in your classroom. Before you can achieve your goals, you first need to set them. To get students thinking about successes they want to have this year, have them create a short list of academic and personal goals. 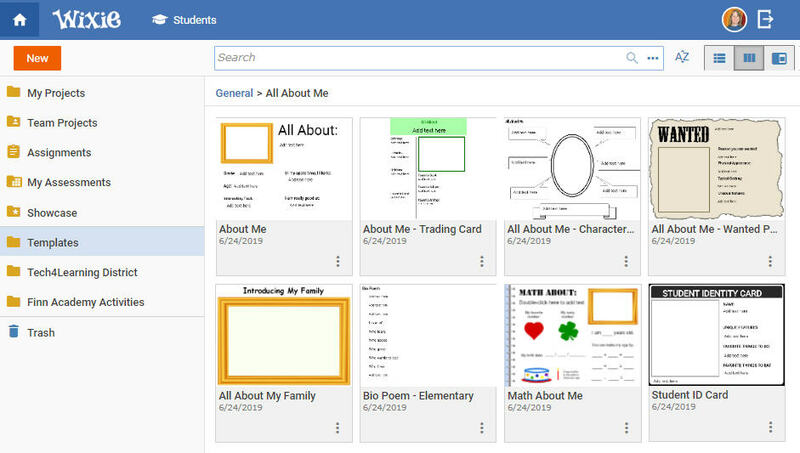 Wixie includes activity templates to support this and are easy to customize so that each student's page can look unique. These are great to print and keep in student folders or even taped to their desk. If you are going to publish the goals online, have students click the Record button and recite their goals, further cementing their connection to them. After students are settled, give them the responsibility of creating a class newsletter to share student learning with parents and families. Giving students responsibility like this helps give ownership in their learning and is a great way to break down teacher/student barriers and establish your class as a learning community. Rotate the canvas in Wixie to a portrait orientation to start from scratch or open the Newsletter activity in the Templates folder. Print the newsletters for students to take home, simply post a link to the project URL on Wixie, or export as a PDF and share on your classroom web page. Wixie includes some fun print and image export options including postcards and comics. Instead of the traditional, what did you do this summer, have students create a picture postcard from one place (even if it is their home or backyard!). Then, ask them to write to your class as if they were sending you a postcard. Wixie include a single-page postcard template in the Templates folder, so you simply have to decorate, type, and then print, fold, and glue. You can also create two pages and print as a table tent. 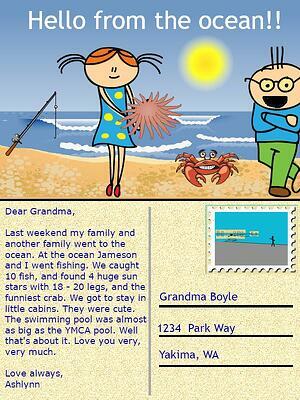 You can also create two-page e-postcards that not only include images and text, but audio narration as well. Post the project URLs on your classroom home page so the class can explore the places students have been. Many teachers discuss character education issues like bullying right away to start the year off right. If you aren't quite ready to hit this topic, you could also focus on comics as a fun way to discuss effective study habits, similar to a social story! Comics are a fun way to tell a story and also supports Marzano’s instructional strategies of non-linguistic representations and summarizing! 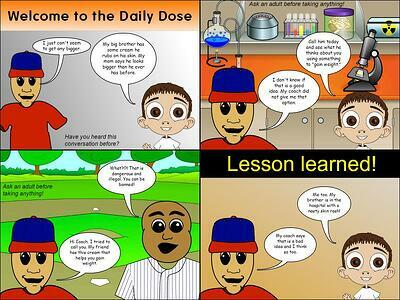 Have students create a four- or six-page Wixie project. Then, click the Send button on the toolbar and choose Print and Postcards (4 to a page) or Comic Book (six to a page) to publish. If you are looking for more even more ideas, browse the Templates tab at the Projects view for other fun ideas like SuperHero ID cards, Wanted Posters, timeline, and more! You can also find fun activities in the lesson plan section on Creative Educator, or in the Wixie guides for Common Core, Virginia SOLs, Arizona AS, and Texas TEKS.